I ALWAYS watched anime, growing up it was something that was interesting to me. I would get up early and watch Sailor Moon on UPN 13. Or I would have someone help me set up the VCR. When I hit my 20’s it was more of the same, and still going strong into my 30’s. I watch Crunchyroll and I am always on the lookout for a good recommendation. The task I have been presented with today is how do I get my kid to watch these shows with me? How do I make a four year old interested in what I am watching when there is a language barrier? How can I get them to love the culture like I do? 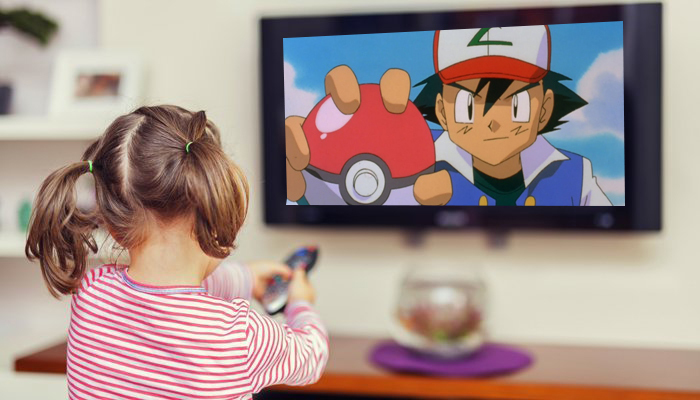 Here are some tips and tricks to get your kid to love anime the same way you do. The first step to introducing pretty much anyone would be to put on a dub of something you think that they would like. 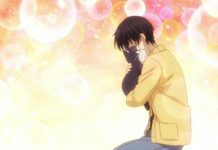 I list dubs before subs for the simple reason that if you are trying to introduce a child into anime it is better for them to listen in a language they understand. It’s an easy approach and you can throw it on and let them become entranced all on their own. While I prefer the old DIC dub for this one and have a few of the DVDs, the Viz dub is just so much more accessible. The Viz dub is also eventually going to cover the complete story so our kids are going to get to watch it all the way through. Not only that but the fact that I cosplay sometimes and have an entire collection really got my kid interested in the show as well. 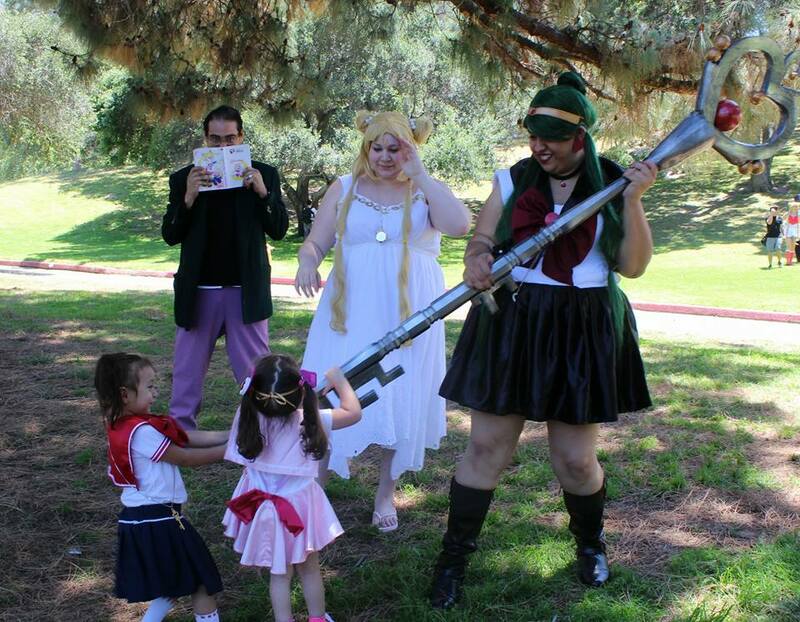 In the Sailor Moon community most of us are in our parenting years so it’s easy to find other moms to talk to about introducing kids to the show. 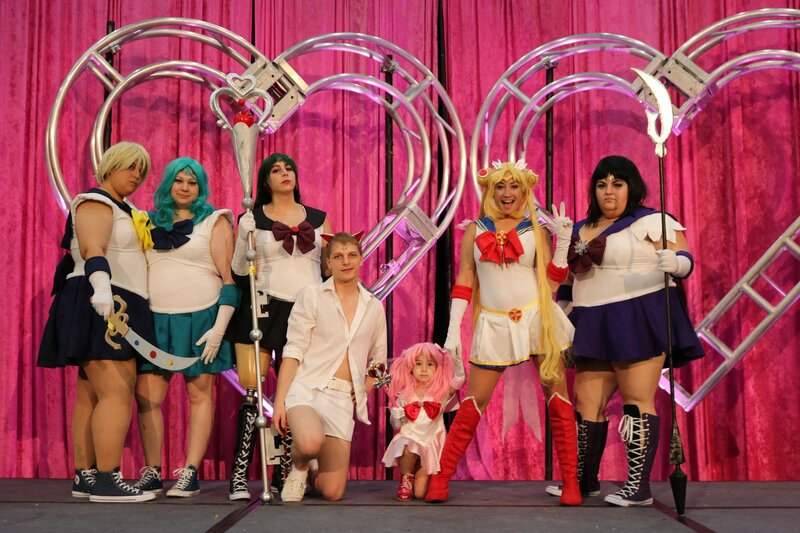 I know many others who have successfully integrated their kid into the Sailor Moon collective. Plus with the new series Sailor Moon Crystal even more kids and teens have been discovering the old episodes. For kids under the age of seven Ponyo,My Neighbor Totoro, Kiki’s Delivery Service, and The Cat Returns are your best picks. Especially Ponyo which is pretty easy to understand. She is a little fishy that a boy falls in love with and takes care of. The message is simple and easy to understand, even a toddler can grasp the concept of what is going on. Kiki’s Delivery Service is another great pick for kids that are a little older but not quite old enough for the messages of say Nausicaa. The Cat Returns is about a society of cats and a little girl that is transformed into one. That is pretty easy to watch as well for a kid, because most kids pretend to be animals anyway. This was probably my first anime that I didn’t know was an anime until I got older. The little boy Nemo, goes on an adventure to Slumberland, and then Nightmareland. This one can get a little scary at some points but if you are there to tell your kid things will turn out alright in the end it’s not an impossible movie to introduce. Pokemon will never die. With that being the case if you want to ensure that your child becomes completely fan obsessed there are ways to support their habit. Tons of toys to pick from at pretty much any store, games that come out regularly, and content that won’t quit. I think it was age 2 when my child said “pikachu” and pointed to a plushie at Target. That said the show in its earliest form is such an easy watch for children. The characters are all cute and cuddly looking and there are so many little animals that your kid can attach themselves to any one that they think is best. Easy Subs in this case means anything that your kid can pick up on story wise without too much explanation. The animation of facial expression or use of friendly animals is always key when it comes to reading a sub, without actually reading it. If your kids are a little older than you can probably put on anything and it will be fine but for those just starting out you have to be a little more particular in what you show them. Chi’s Sweet home is about a cat. A cat and his daily adventures around the house and town of where he lives. This one serves as a double bonus because the Manga is also translated in english, so if you want to read a bedtime comic/manga to your child before bed, this one is definitely going to keep their attention. Plus with the anime the stories are so simple that they can piece together what is going on just by watching Chi’s expressions throughout the show. This one is meant to be a little more advanced storytelling but if your kid loves animals this will be right up their alley. In episode one Panda, who is part of generation Cupcake, goes out after his mother tells him to get a job. He ends up working at Polar Bear Cafe and the stories of these characters are just so cute and easily explainable if your kid asks questions. Yes I said western comics before manga. Kids Love Superheroes. Finding a character that you can relate to an anime character can be a tool to use in the conversion of your child. 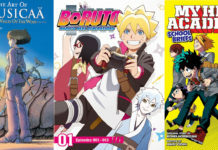 It is ok for them to enjoy both but for the sake of me(the anime lover) vs. the father(the comic book lover) I try to take superheroes and relate them to something anime instead. Oh you like Spiderman? Why don’t you try out My Hero Academia? Oh you like Zodiac Starforce? Check out this Sailor Moon Manga! Take your kid to conventions! Most of the conventions in the California area I know have special rates for kids and most if they are under a certain age are free. You are going, why not take the kid and show them what anime fandom is really like? What better way to entice your kid than showing them that it is ok to dress up as their favorite character and no one is going to give them any trouble for it. It is a whole culture where being yourself is accepted and people can be whoever they want! Maybe you aren’t ready to jump in full steam ahead with a convention. That’s ok! All kids are different and if you want to dip your toe in with them first then that is fine! If you are on Facebook or any other social media site then you will probably come across a plethora of family friendly cosplay gatherings. These are easy to slip in and out of and make friends and show off cosplay. You can introduce your kid to what it is like to be a part of the fandom and the setting is much more chill than a huge convention. So there are many ways that you can get your kid to be nerdy with you in many different ways. It really depends on what your kid is in the mood for and the best way to find out is to just ask. Even if they are little they will tell you whether or not they like the colors, or the characters. Maybe they want to read a book, take the opportunity to read them a good manga. Reinforce it with the “Mommy used to read this one a lot” approach before they become teenagers and hate you. I hope you got a lot out of this and good luck on your journey to make your little Sailor Senshi or Power Ranger into a full fledged anime nerd like you! Tweet @Bremoonprincess to continue the conversation or Tell Nerdbot what you think in the comments! Assassin’s Creed Origins- Too Much of a Good Thing?